This blog post is by my friend Rick Lyons. There used to be a fruit market located at 391 San Antonio Road in Mountain View, California. 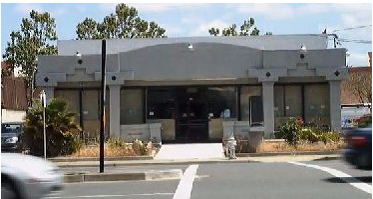 In the 1990’s I worked part time in Mountain View and drove past this market’s building, shown in Figure 1, many times, unaware of its history. As it turns out, what happened at that little fruit market in the 1950s has affected the lives of essentially everyone on our planet. Here’s the story. Figure 1: The fruit market building today. In 1955, deciding to move back to where he grew up, Shockley returned to California. He wanted to start his own company to commercialize semiconductor devices. Joining a college friend’s successful company, Beckman Instruments, Shockley was appointed Director of Beckman’s newly founded Shockley Semiconductor Laboratory division which bought the old fruit market at 391 San Antonio. 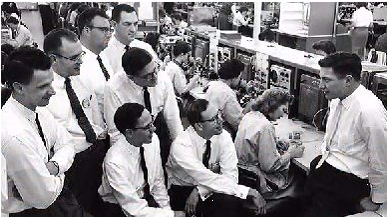 Shockley, who was nationally famous in the field of electronics at that time recruited the best and brightest scientists and engineers to work at his Shockley Semiconductor Laboratory. However, his domineering management style, bizarre behavior that bordered on paranoia, and his loss of interest in developing commercial transistors and integrated circuits caused eight employees to leave Shockley Labs. That was on Sept. 18, 1957, a day that was ranked by the New York Times newspaper as one of the Top 10 Days That Changed the World. Figure 3: The Traitorous Eight in 1957. Intrigued by these new-fangled transistors, New York industrialist Sherman Fairchild agreed to finance The Traitorous Eight by creating a new company called Fairchild Camera and Instrument. 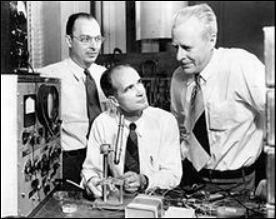 It was at Fairchild that the first commercially-viable integrated circuit was invented. 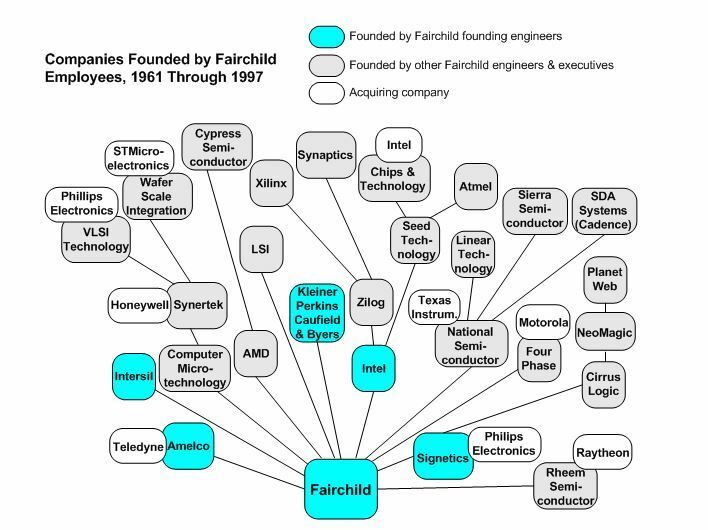 From that single company evolved the greatest collection of semiconductors companies in the world, as well as a California location that came to be known as “Silicon Valley.” Figure 4 gives you some idea of the astounding commercial outgrowth of Fairchild Camera and Instrument. Figure 4: The offspring of Fairchild Camera and Instrument. The venture capital firm of Kleiner, Perkins, Caufield & Byers is included in Figure 4 because they provided financial backing for many electronic and information technology startup companies. You may have heard of some of those companies; Amazon, Google, Sun Microsystems, AOL, Compaq, Electronic Arts, Intuit, Netscape, and others. average of 16% per year for the last forty years. 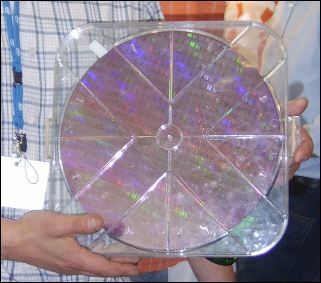 Figure 5: 300 mm silicon wafer. of rice, and each rice grain could buy 100’s of transistors. The justification for that last statement as follows: The world produced 450 billion kilograms of rice in one year. Informal measurements suggested that there are roughly 60,000 grains of rice per kilogram, meaning that approximately 27 quadrillion (27×1015) grains of rice were harvested in 2002. Assuming that one bit of semiconductor memory required at least one transistor, the semiconductor industry produced 1000 quadrillion (one quintillion, 1×1018) transistors in 2002. This amounts to about 37 transistors per grains of rice. I imagine that transistor-to-rice grain ratio was even higher in 2013. Transistors do indeed seem to be nearly everywhere in our modern lives. I walked around the rooms of my 1500 ft2 house and realized that no matter where I stood I was never more than 3 meters from a semiconductor device. (On my bathroom counter resides a battery powered tooth brush, sitting in its recharging base.) I finally stood at the far end of my garage away from the corner where my clothes washer is located, thinking that was a spot surely more than 3 meters from a transistor. Then I realized that on the outside of the garage wall, next to where I was standing, is my electric utility company’s Smart Meter with its RF transmitter circuitry. The inventions of the transistor and the integrated circuit (interconnected transistors) have literally transformed our world–from singing greeting cards to iPads, from home computers to interplanetary spacecraft. There is no way to overstate the importance of the technology that blossomed from that little fruit market at 391 San Antonio Road. Great piece of history thanks or sharing! Precious piece of human and technology history. I live few kilometers from Villa Grifone, located in Sasso Marconi -Bologna (Italy). Here, in the house of Guglielmo Marconi, was born the Wireless Communication. I am fascinated by history of these technologies and persons.